There is really no need to beat around the bush when describing this film - this is a fun and simple vehicle for Adam West to play hero and for Linda Saunders to show a lot of skin; and in these pursuits, they both perform rather admirably! Mara of the Wilderness is about a girl, Mara Wade, who is orphaned when she accompanies her parents into the wilderness of Alaska. Left to fend for herself, far from civilization, she is adopted and raised to adulthood by wolves. 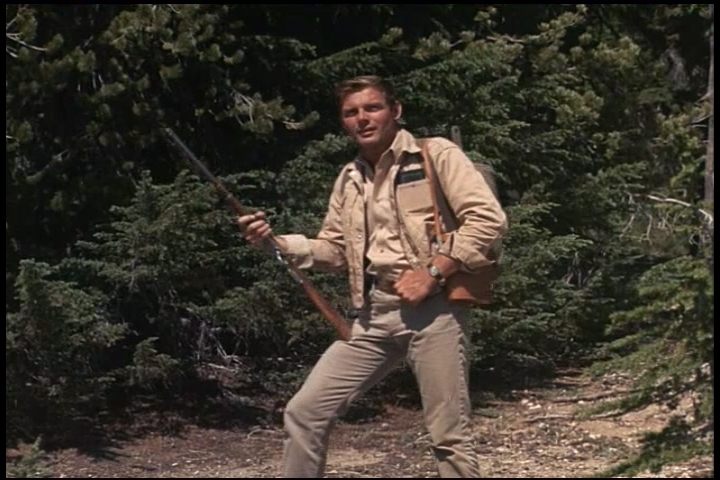 Pre-Batman Adam West plays an anthropologist who travels to this remote wilderness to study wolves. There he is shocked to encounter Mara, and probably wonders how she has managed to keep her legs so smooth and apply her eyeliner so well while living in the wild. 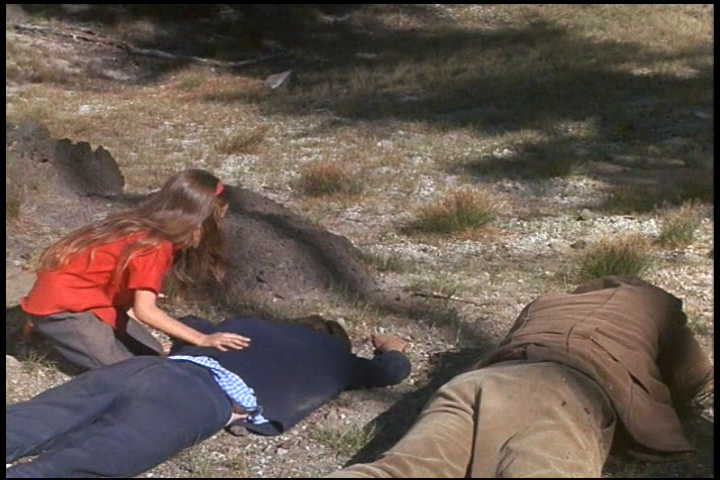 No time to worry about that, though, as a cruel and slovenly trapper, played by Theodore Marcuse, is also in the area and thinks he can get rich by capturing Mara and putting her on display. West and Marcuse get into some good fights, including one that ends up with a pair of wolf traps clamping into Adam West. Despite the violence and skin, there is nothing overly graphic and this is just fun, very typical family entertainment of the 1960s. 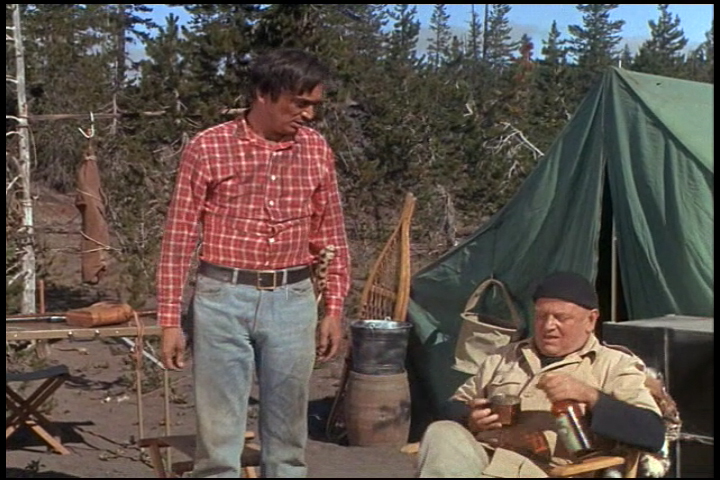 Mara of the Wilderness is an amusing diversion, professionally made on location in the beautiful Deschutes National Forest of Oregon (which passes well for Alaskan wilderness) and features some 1960s TV icons. Adam West is well cast in the lead role and shows us why he was able to go on and so successfully play Batman a few years later. The evil, sadistic trapper almost steals the show as played by the excellent and prolific Theodore Marcuse who died just a few years later. He was a familiar face to 1960s TV, usually playing villainous Germans or Russians on Hogan's Heroes and Man from U.N.C.L.E. He even met up with Batman later as Von Bloheim. Had he lived he probably would've gone to greater acting heights and fame in the 1970s. Lauri Saunders is beautiful and does well with what she is given. She has no dialogue and mostly just grunts and runs around with her wolves, but she does a good job of expressing her emotions with her facials. A 1988 VHS version is long out of print and the movie doesn't seem to be broadcast any more. Well, at long last, here's your chance to see a shirtless Adam West carry on a conversation with a racoon!